Cleanline Toilet Cleaner is a delicately balanced perfumed toilet maintainer which will leave your toilet fresh and clean. 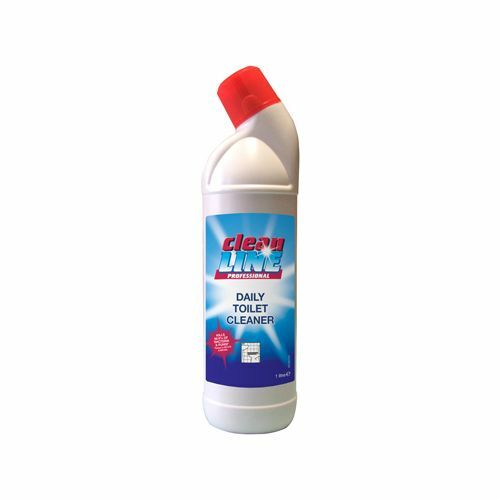 Regularly used Cleanline Toilet Cleaner will maintain toilets and keep them in a clean and hygienic condition. Cleanline Toilet Cleaner is tested to BSEN1276, proven to kill 99.99% or germs and bacteria. Each case contains 6 x 1 litre containers of Cleanline Toilet Cleaner. 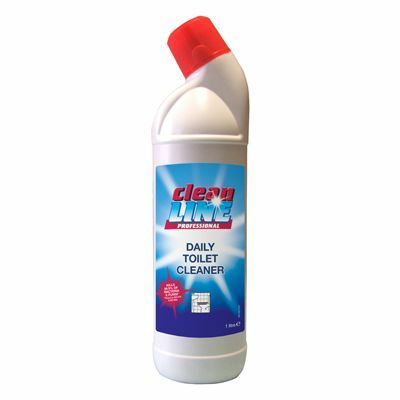 All of our janitorial cleaning supplies, including Cleanline Toilet Cleaner, are available to buy in bulk. Here at Nexus Cleaning Supplies Cleanline Toilet Cleaner is always available at the best possible prices so why not place your order today?